As much as I love my December issue of Bon Appétit with all its glossy pages filled with drool-worthy holiday treats, the last thing I really need is more sugar – now, or anytime, for that matter. It’s everywhere I turn these days. The break room at work is filled with boxes of chocolates. There’s a bag of homemade caramel corn that we found hanging on our front door courtesy of the neighbors. Frosted and powdered cookies in little cellophane bags and boxes clutter the kitchen counter thanks to deliveries from several friends. To put it mildly, I’m a little sugared out. 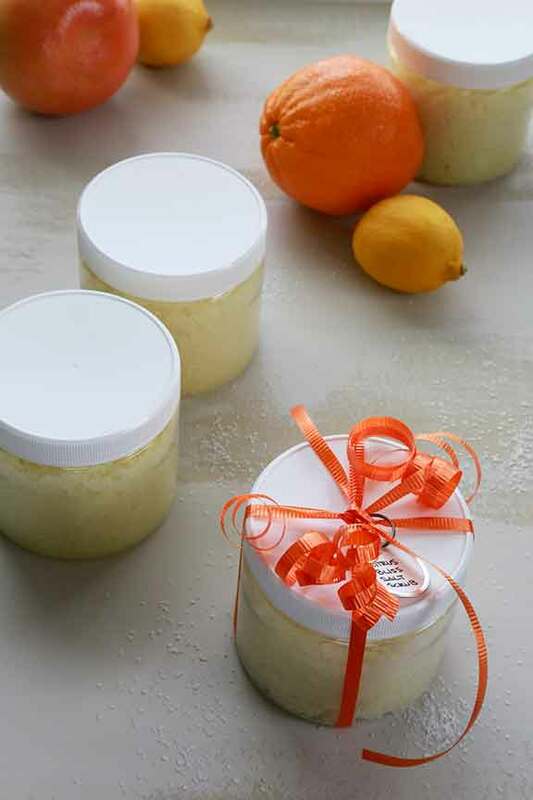 This Citrus Bliss salt scrub is super easy to make and is an affordable way to have a little something special for coworkers, neighbors and friends – not to mention yourself. Plus, mixing up a batch makes the house smell fantastic. It’s a delicious (and sugar free) way to not only kick off a new day, but a new year. Cheers! 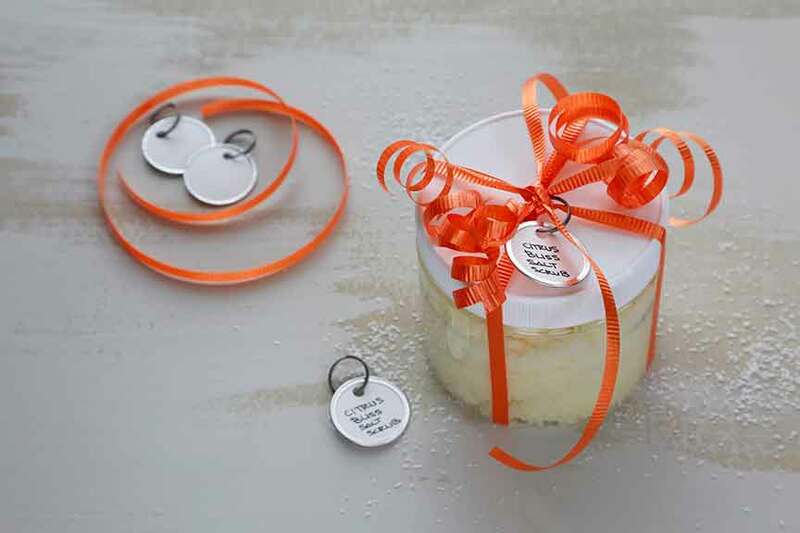 Divide amongst containers and embellish with ribbons and tags if desired.